…this attack was pretty much our own fault. I mean think about it. Our government is broken and is angering other countries. Not only that, if you do your history research, you should know how many other countries that us Americans have bombed for no reason. So the reality is, we are the ones that are evil and we are the ones who are the terrorists. Not Osama Bin Laden or Al Qeada. What’s stopping them from doing it again as long as they are out there? Don’t you see it? Those two guys still try to attack us again. The JFK airport terminal bomb scare and the most recent terrorist attempt was the NYC Times Square car bomber not too long ago, remember that? Both were Al Qeada related. 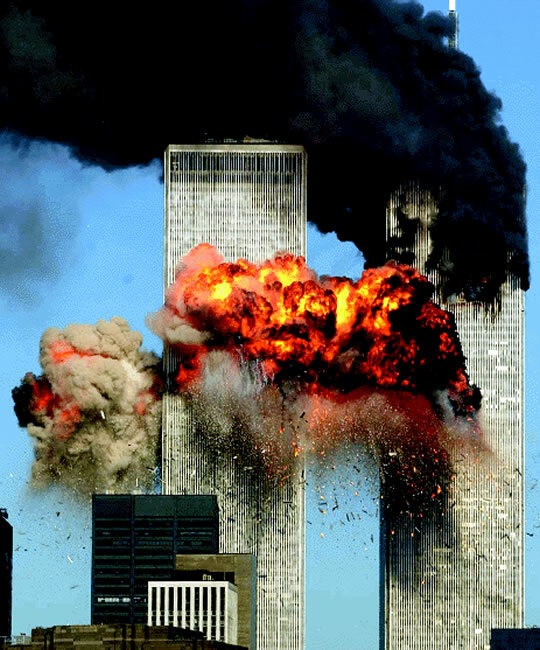 Don’t be surprised that something worse than 9/11 could happen in the near future. They keep trying but you never know they will be successful at attacking NYC but worse. It was terrible that 9/11 happened, don’t get me wrong. We should have saw this coming a long time ago. Our country is a mess, that’s why it happened. Even Osama Bin Laden knows it, he criticized how bad our economics is many times. I love America, yes, but I can’t blame other countries hating on our country. They have every right. I’m not saying it’s right for them to attack us, but it’s our pathetic government that is the terrorism. This post might create some controversy, but I don’t care, just being real and needed to get it off my chest. Now Obama is backing off the Iraq war, giving Bin laden and Al Qeada more power. That’s another example of evil in our country.